To elaborate on that: I stopped by the mall (finally!) 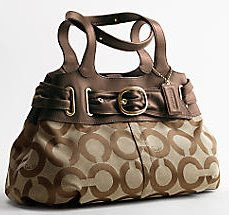 and I was able to confirm what I had known already from reading financial news: Coach has been lowering their prices, and introducing new bags with lower ticket price in response to our bad economy. I can appreciate that. And now you can find a lot of very pretty bags for under $300. 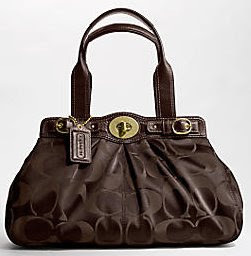 They still sell more expensive handbags, but it's nice to have a decent selection in the few hundred dollars range, too. You want to know who doesn't want to lower their prices and it kinda pisses me off because I think it would be nice if they would? 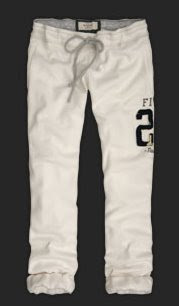 I love Abercrombie, at least their sweat pants, and I would love to be able to but a pair of their pants for less than $60! But no!!! A&F is just too hot to lower their prices. Pretty much like Louis Vuitton bags, that NEVER go on sale! I went to Victoria's Secret. Ha! Sorry AberFitch, a little more respect for your customers would be nice, you know (it's not like we enjoy paying double the price!)? 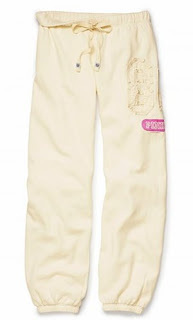 Insist on selling at those prices people will go patronize other brands of similar quality.